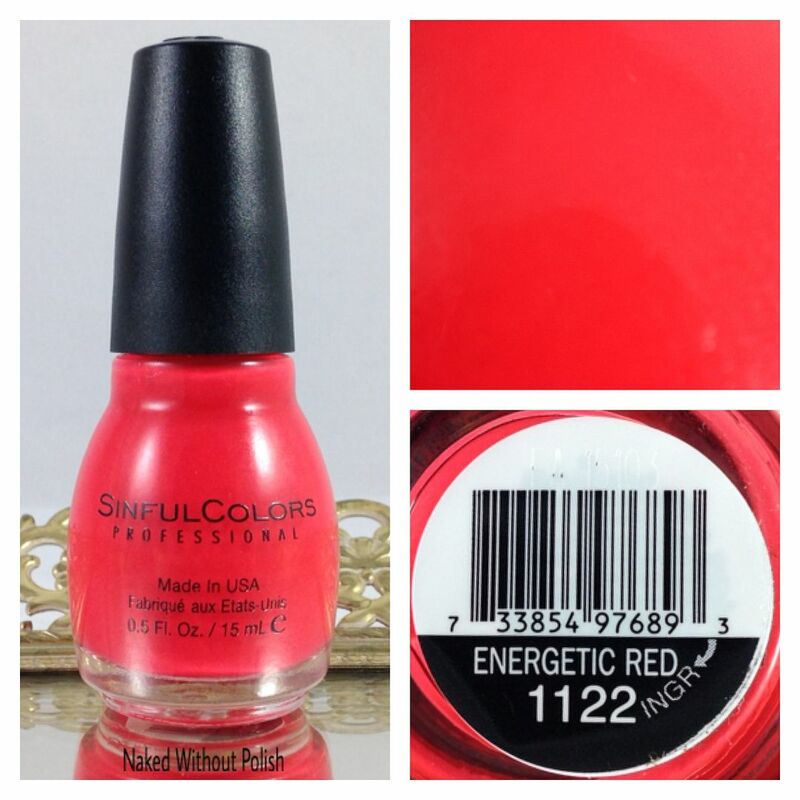 Energetic Red is described as "a classic fire engine red". 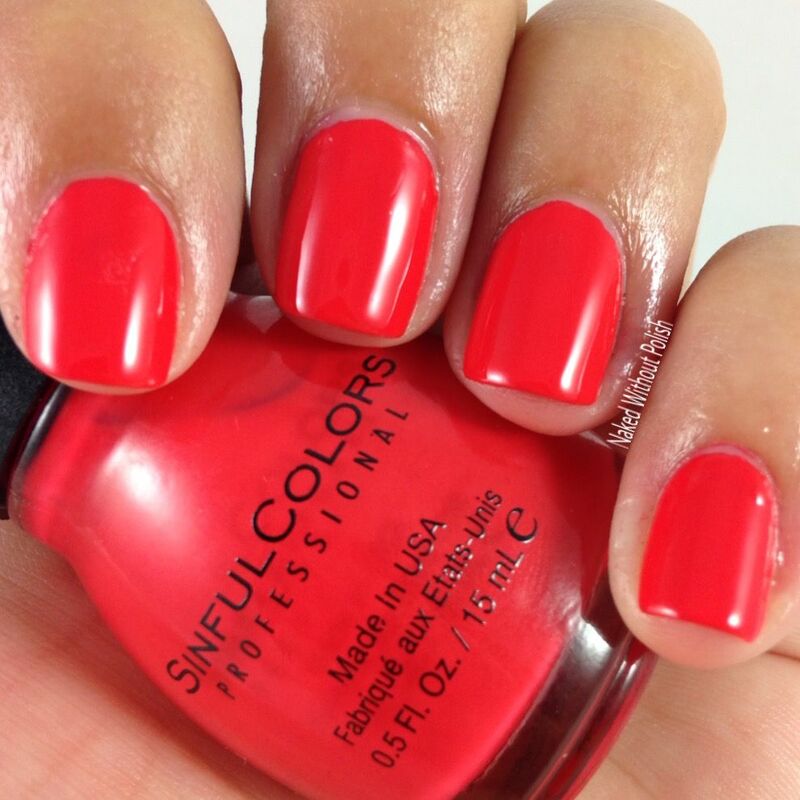 Shown is two coats of Energetic Red with top coat. 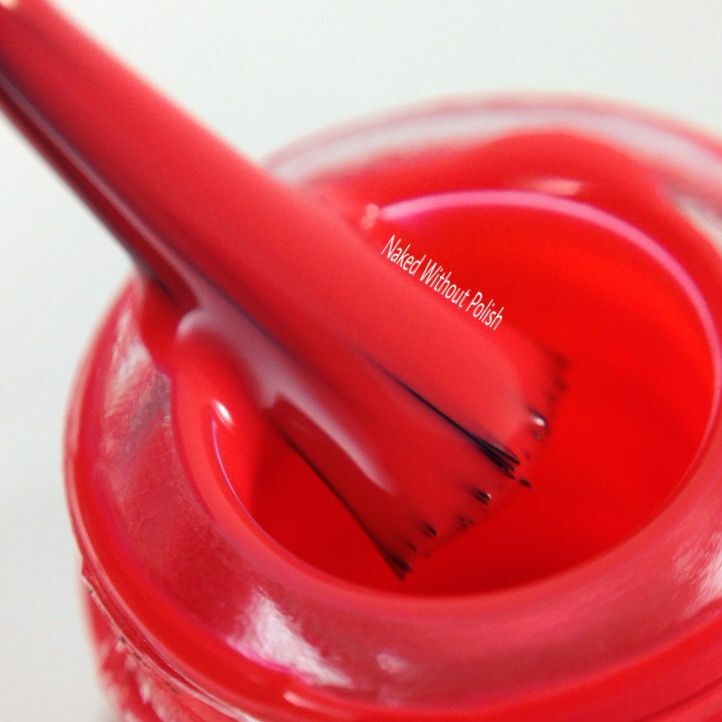 Practically a one coater, Energetic Red is a fabulous color. It is a slight stainer so be careful. 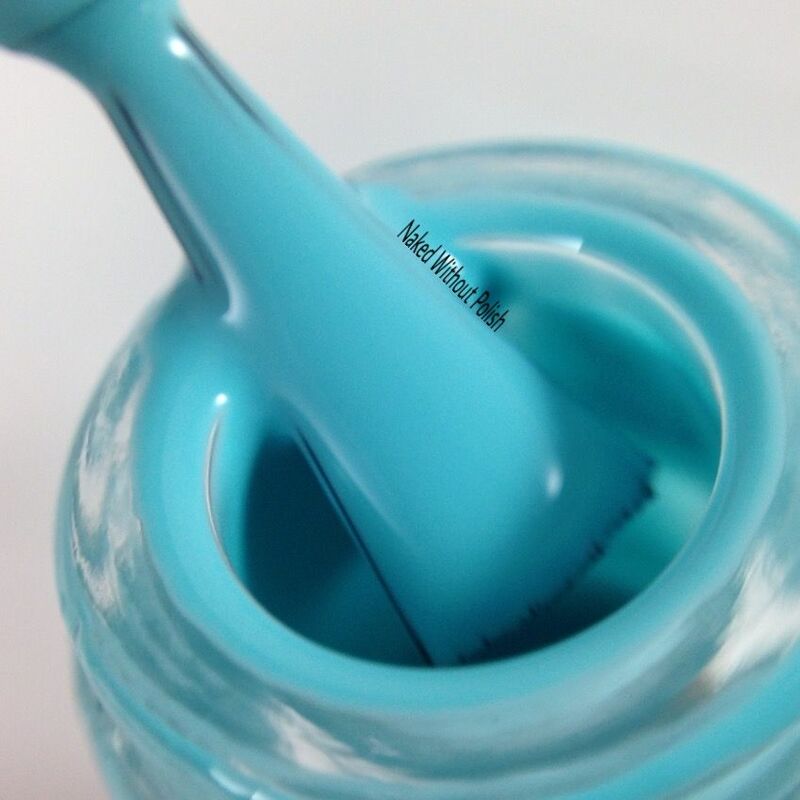 Great formula and smooth application. 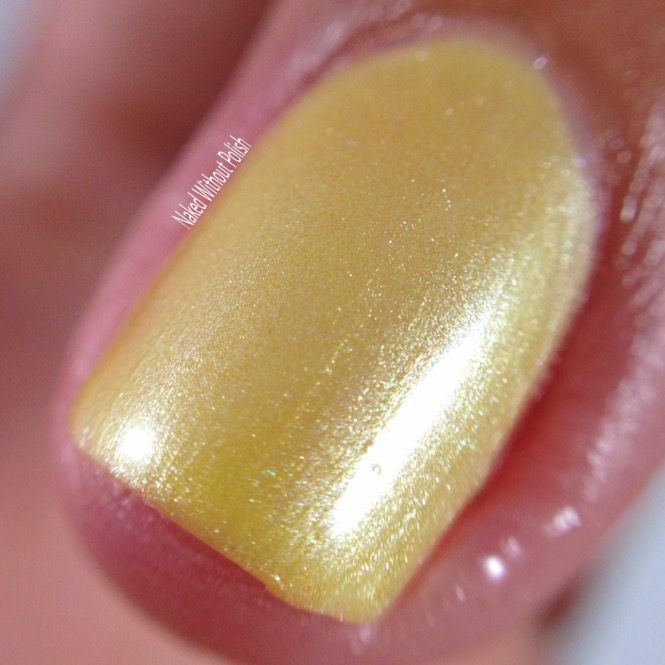 Burst of Fresh Flair is described as "a pearlescent lemon yellow". 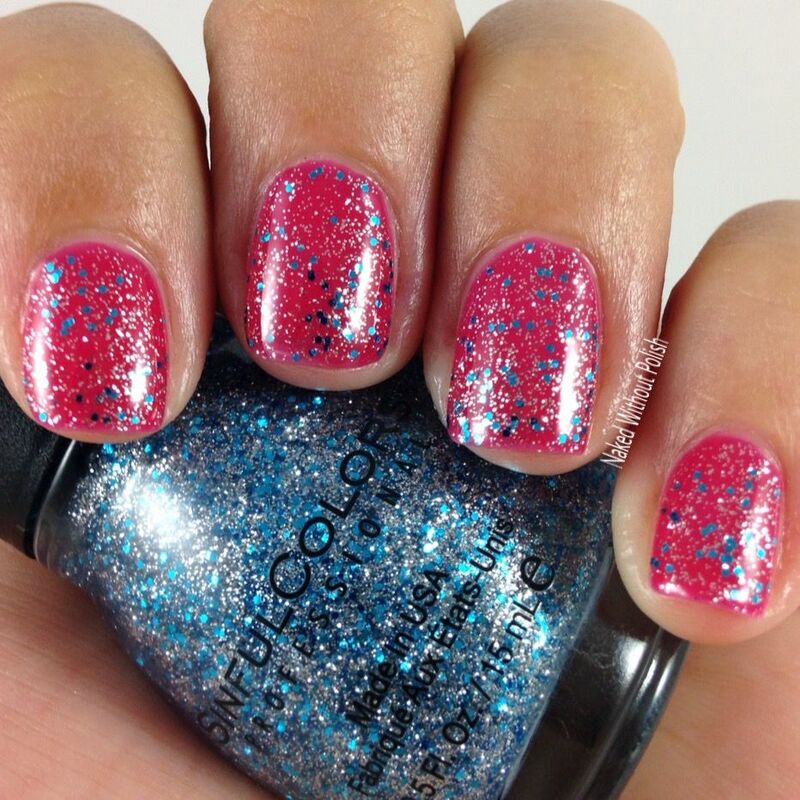 Shown is three coats of Burst of Fresh Flair with top coat. Burst of Fresh Flair isn't normally my cup of tea. It is a beautiful shade of yellow, but the finish is a bit more frosty for my liking. 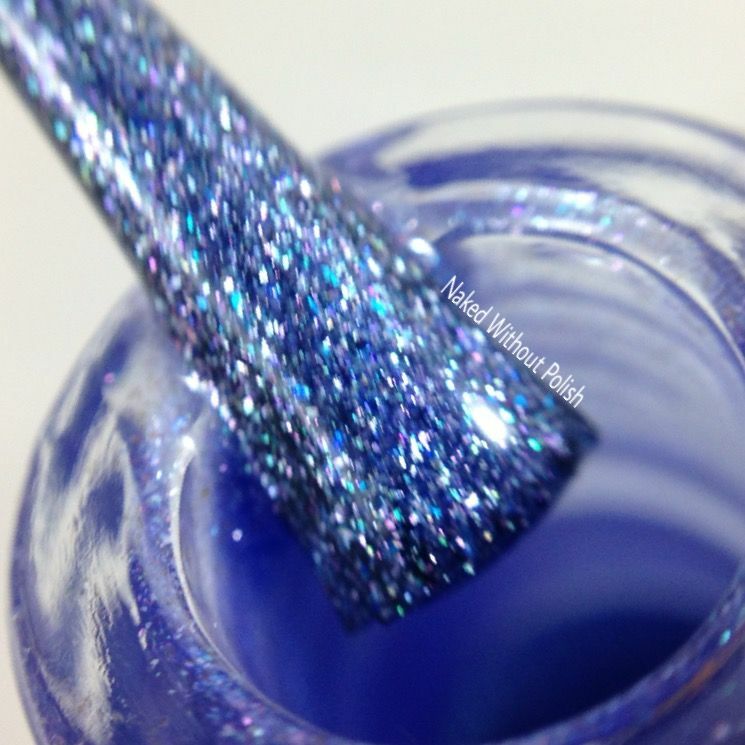 Because it is more sheer, you could easily use it as a top coat over a cream for a bit of shimmer instead of the full frosty finish. 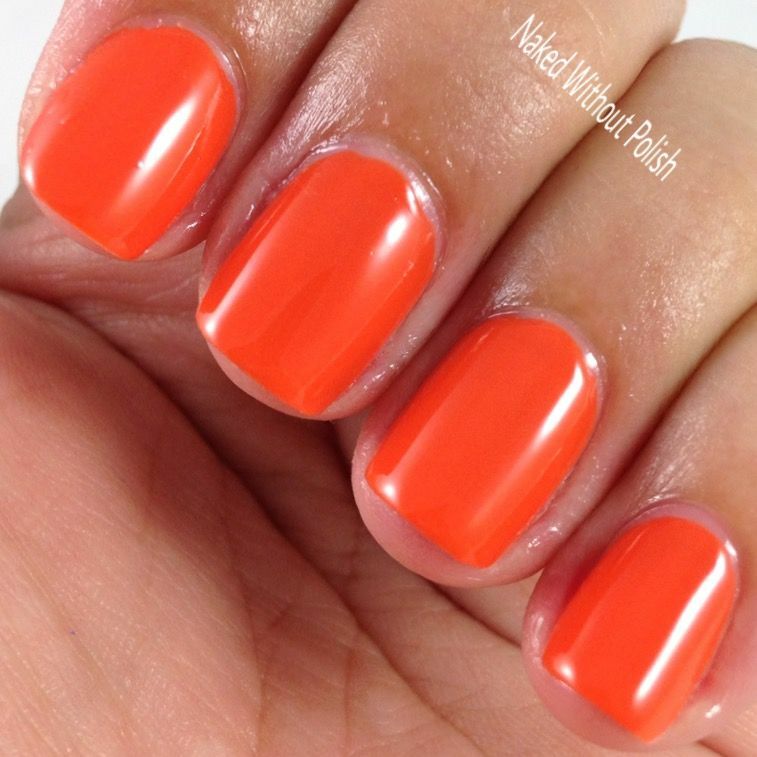 Feel the Vibe is described as "a bright splash of juicy orange". 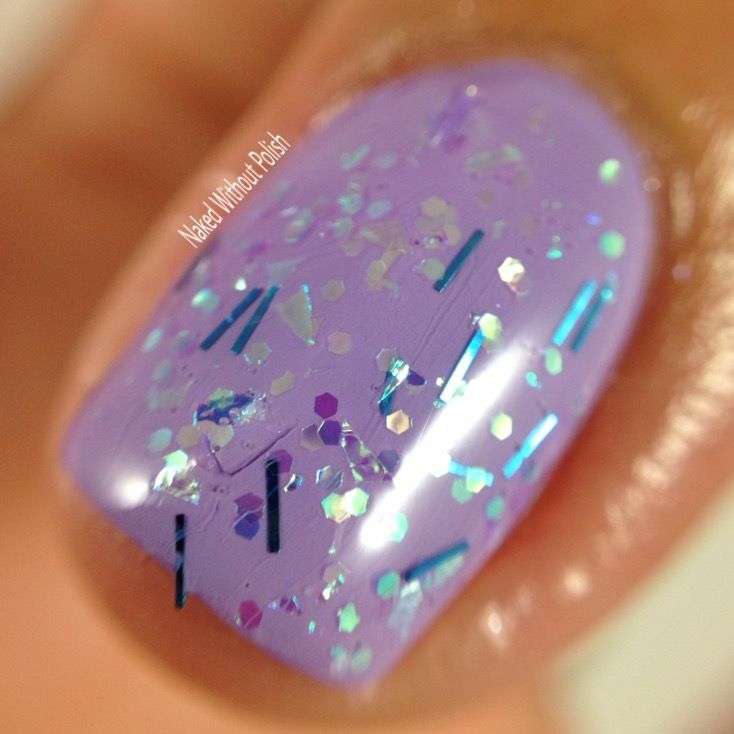 Shown is two coats of Feel the Vibe with top coat. 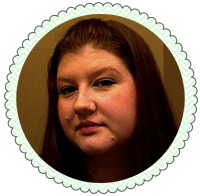 A fast favorite of the bunch, Feel the Vibe is a triple threat. 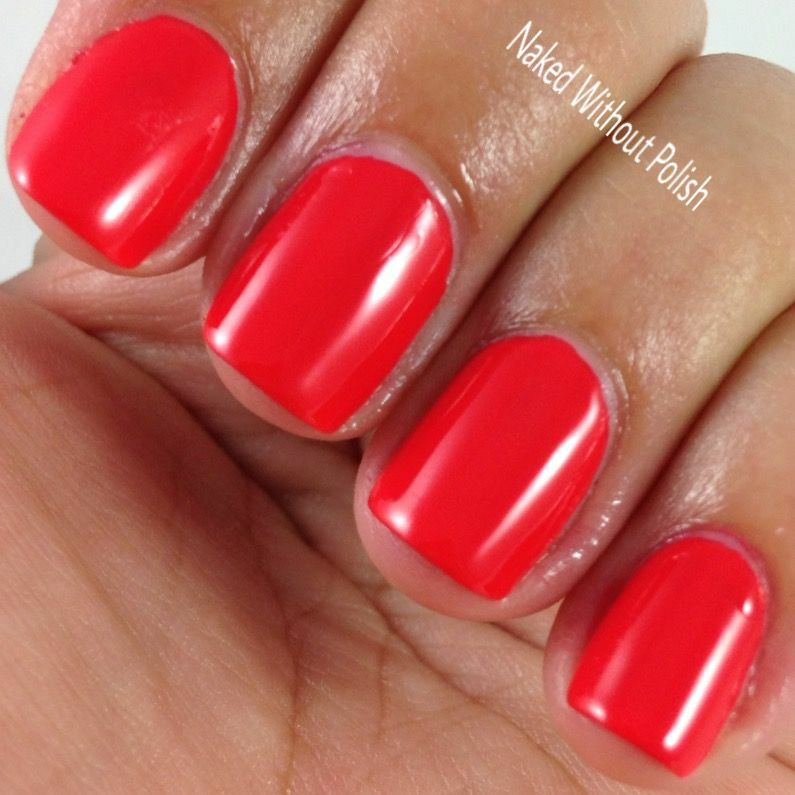 Great formula, application, and color. 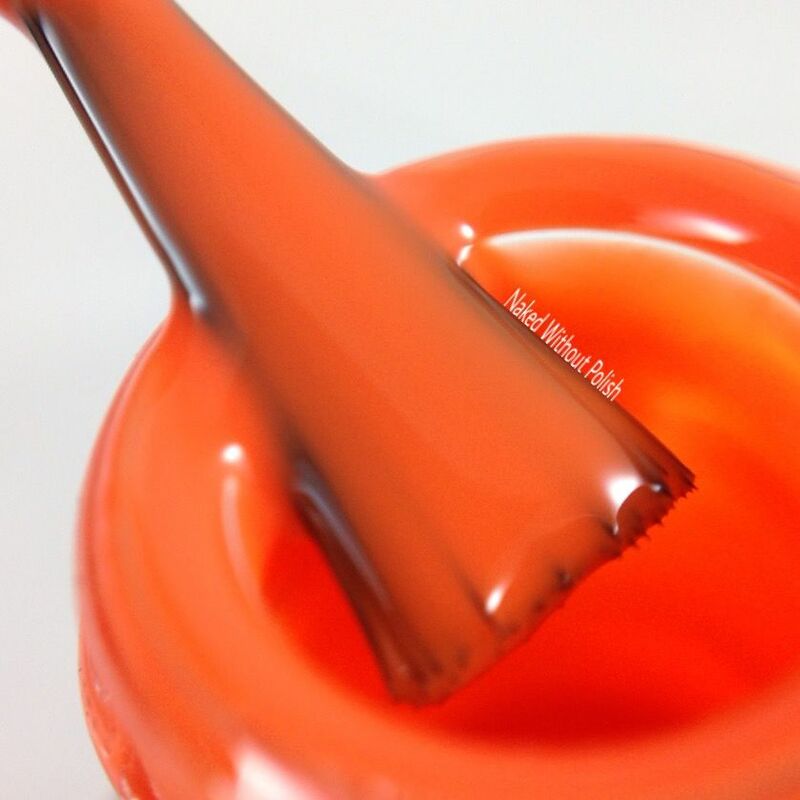 Whether you're a fan of oranges or not, this is one you'll want in your collection. 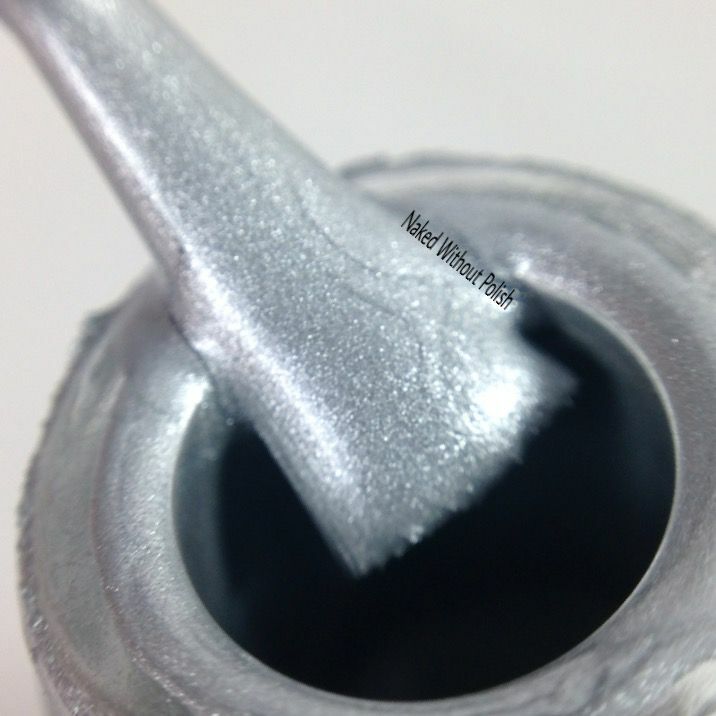 A good base for a topper or nail art, or have some fun with some vinyls. 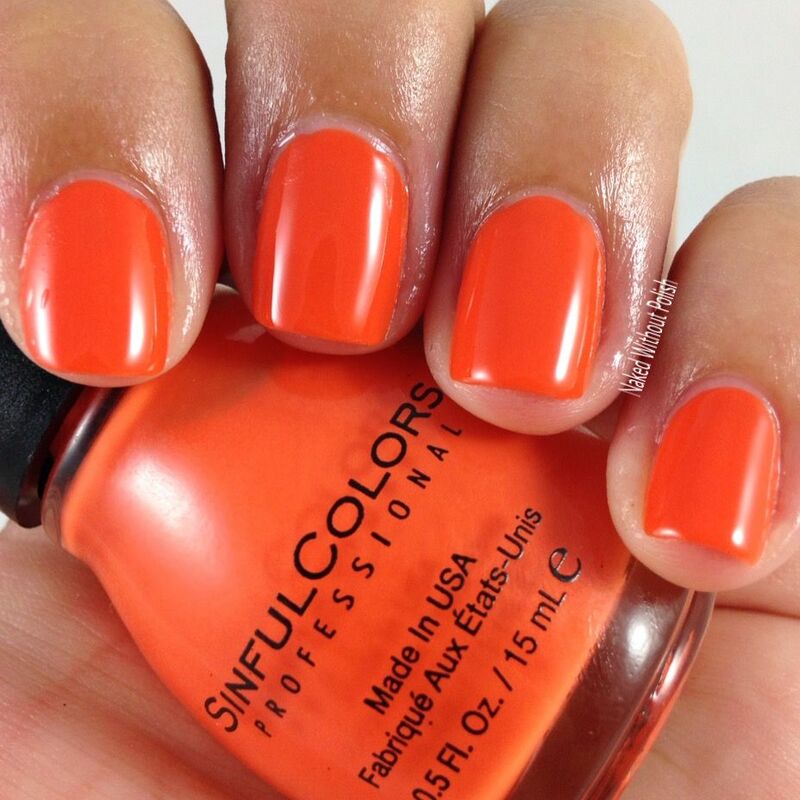 It's the perfect shade of orange. 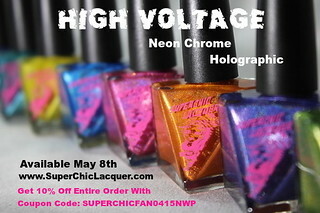 It will be a versatile polish. 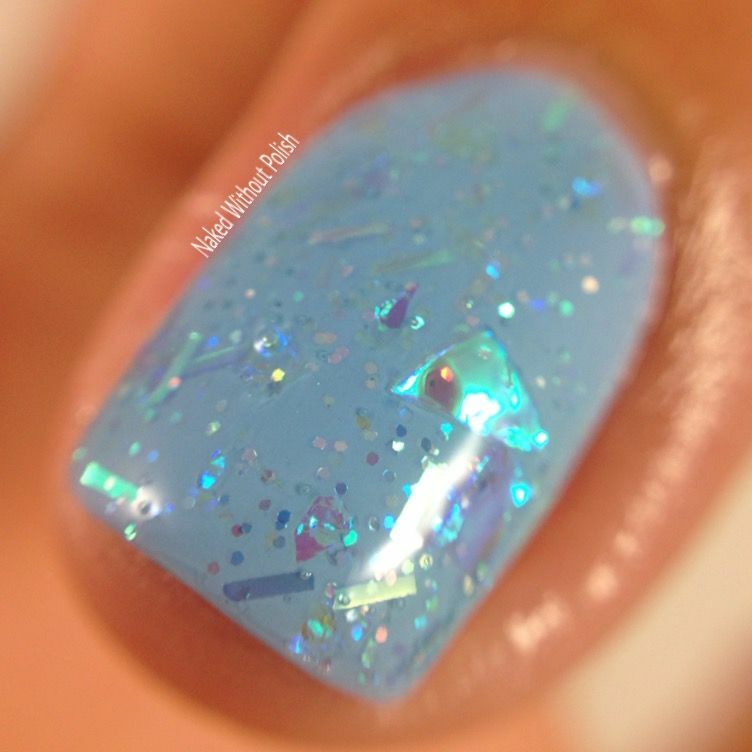 Summer S-cool is described as "a robin's egg blue". 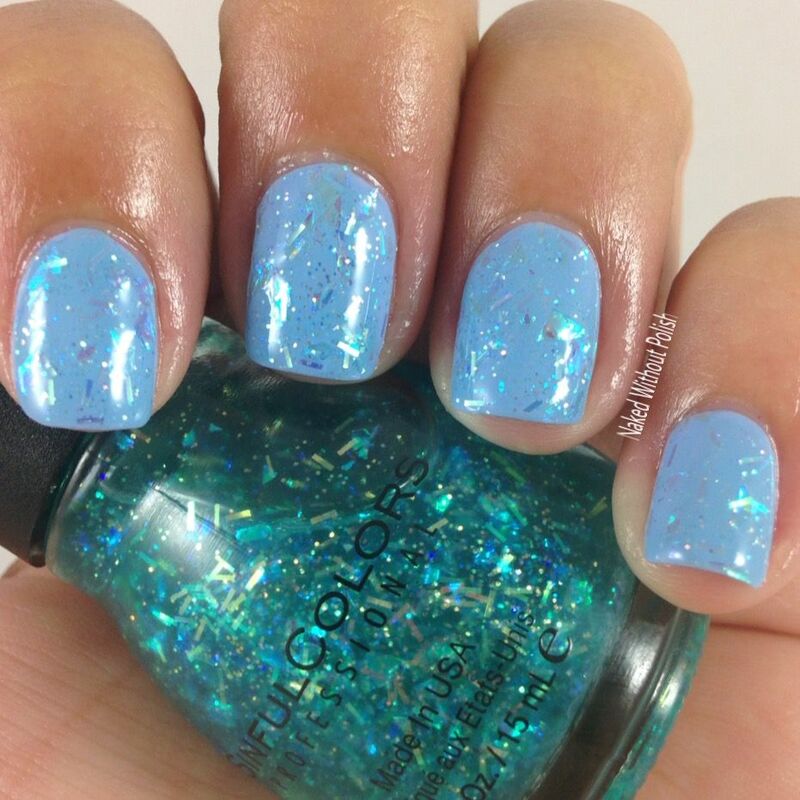 Shown is two coats of Summer S-cool with top coat. THIS BLUE! You guys, go hunt down Summer S-cool right now. 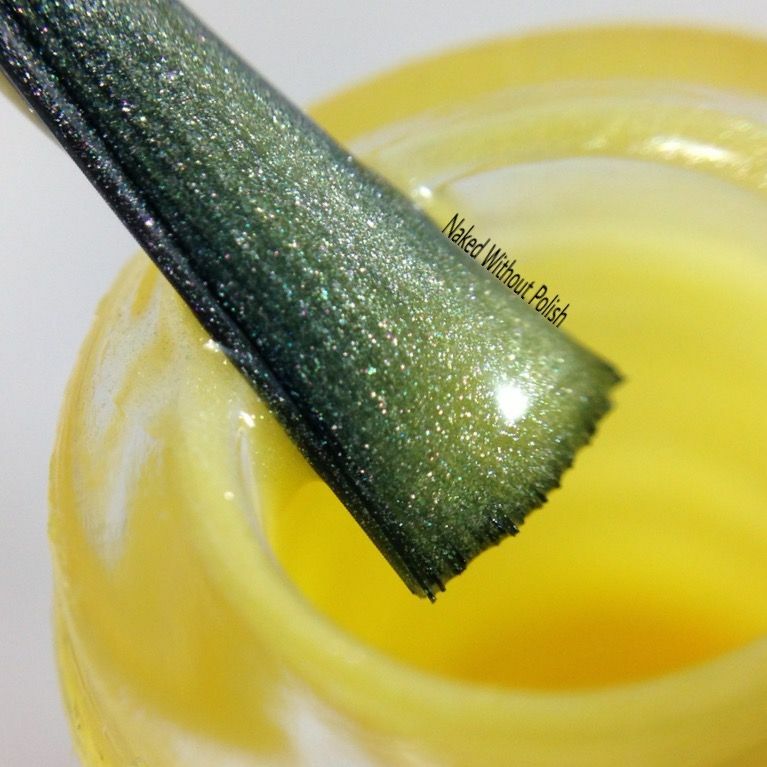 An amazing self leveling polish that I couldn't stop drooling over. Not a bad thing to say about this beauty. 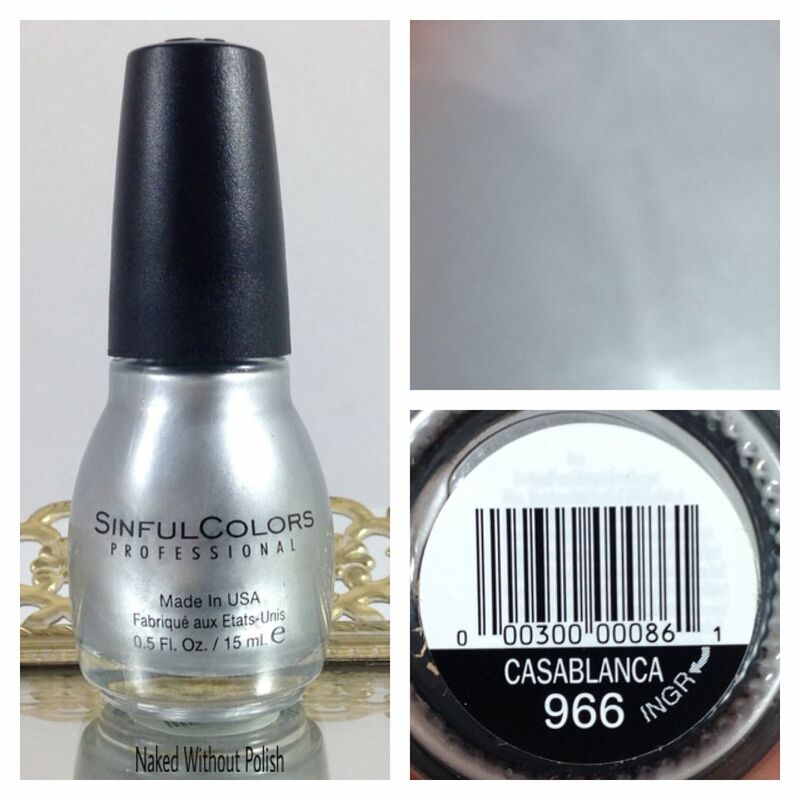 Casablanca is described as "a creamy metallic silver". 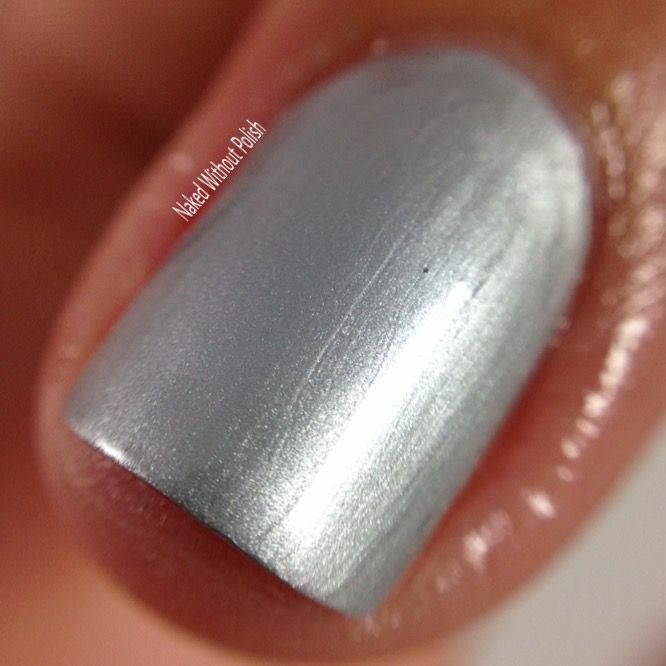 Shown is one coat of Casablanca with top coat. I was completely shocked when Casablanca turned out to be a one coater. 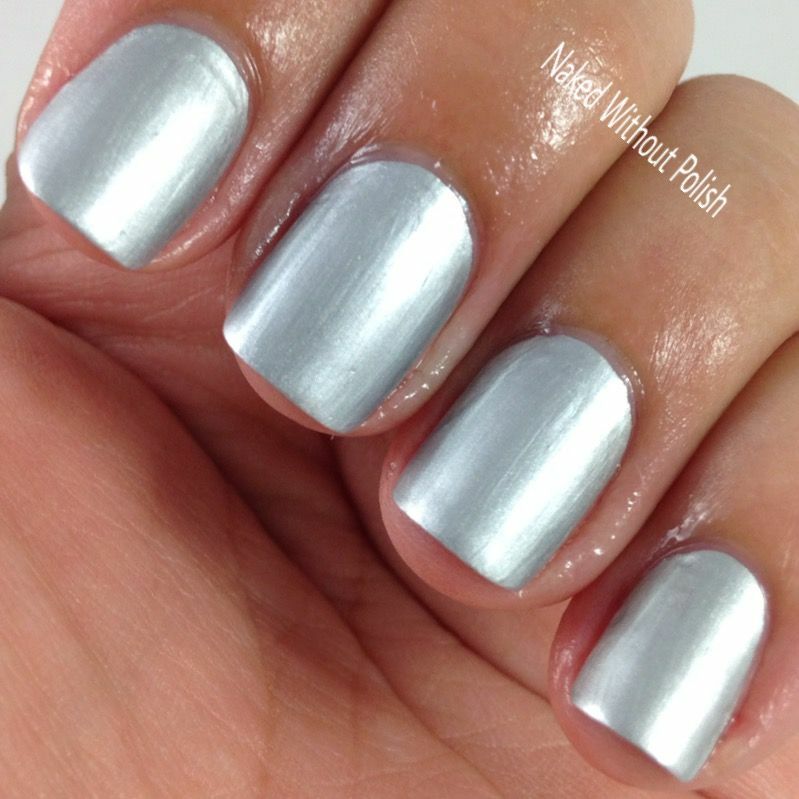 A perfect silver polish. And guess what?! It stamps!! Yup! 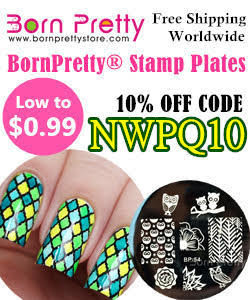 If you're a stamper, you need this! Ice Blue is described as "a soft indigo exploding with silver sparkle". 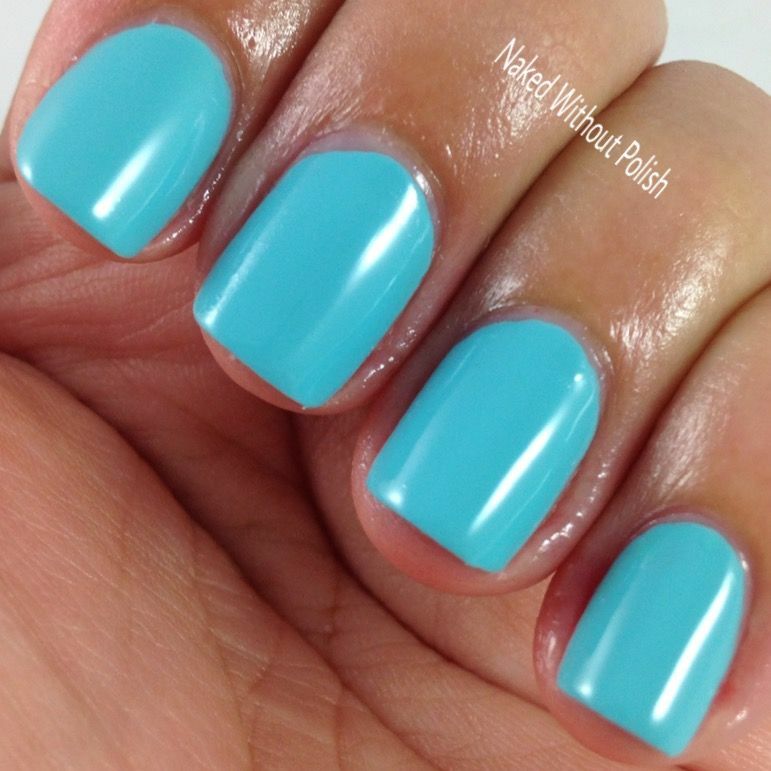 Shown is three coats of Ice Blue with top coat. I will admit that I completely regretting requesting Ice Blue when I unwrapped the bottle. 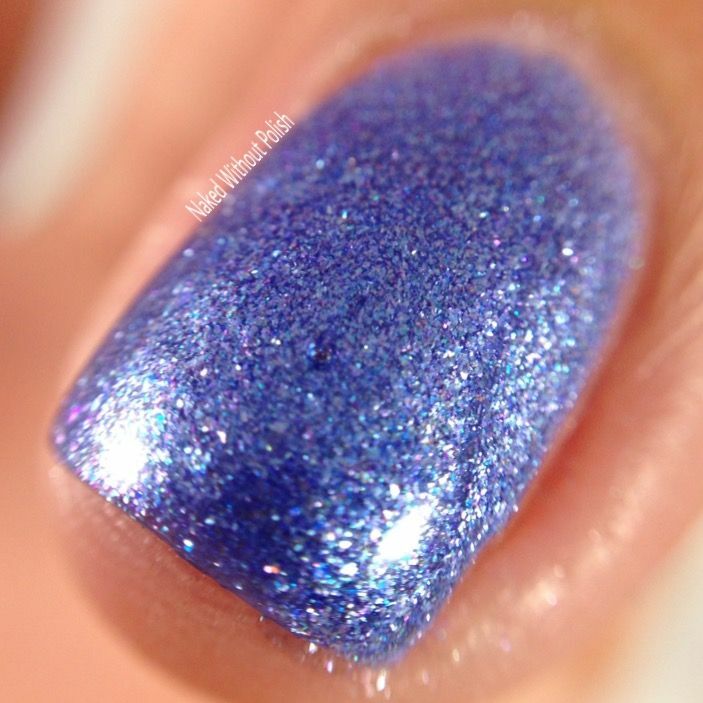 Once I actually got it on the nail and could fully see the depth, I knew my initial reaction was completely wrong. 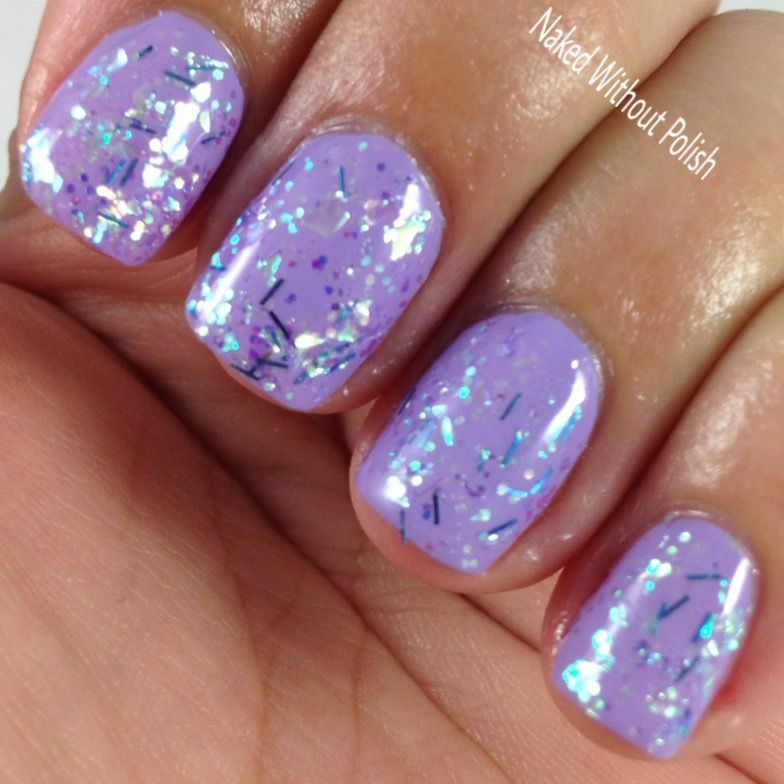 Easy to work with, even with all the levels of glitter and flakes in the polish. Beautiful finish. I bet it would be stunning matted too! 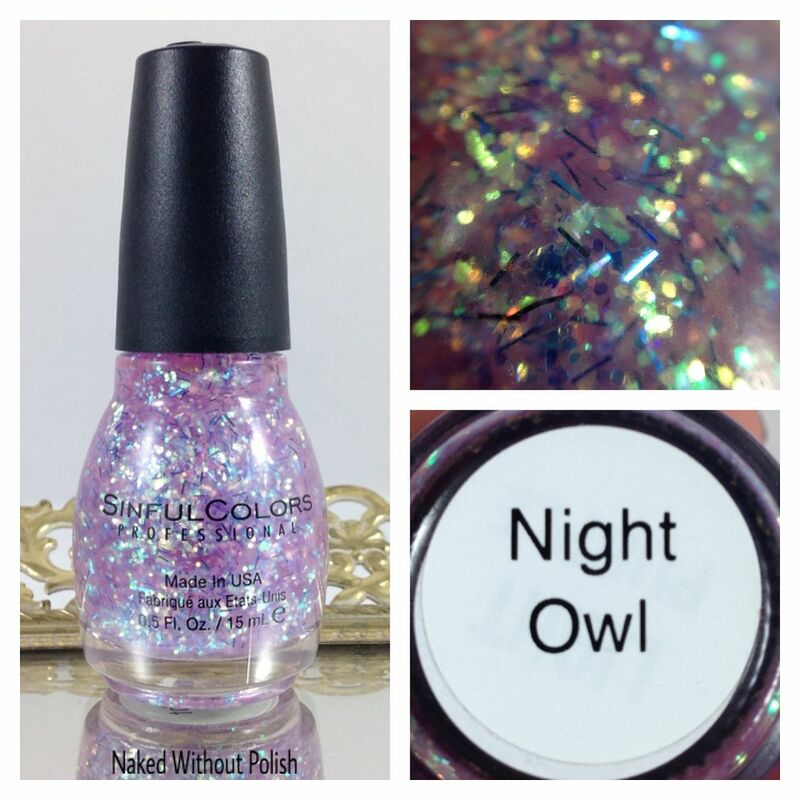 Night Owl is described as "a multi-colored gilded 3D glitter". 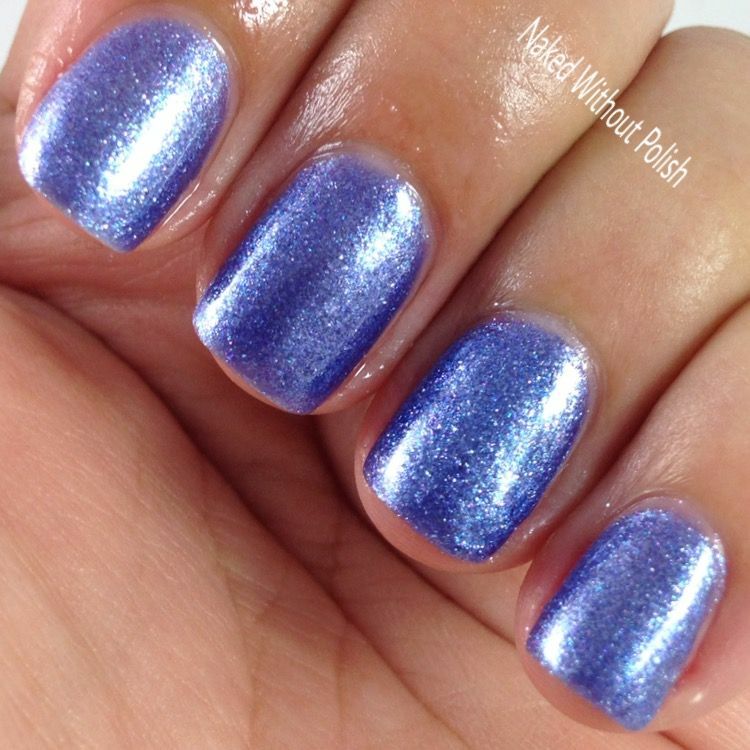 Shown is one coat of Night Owl over Truth or Lavendare with top coat. 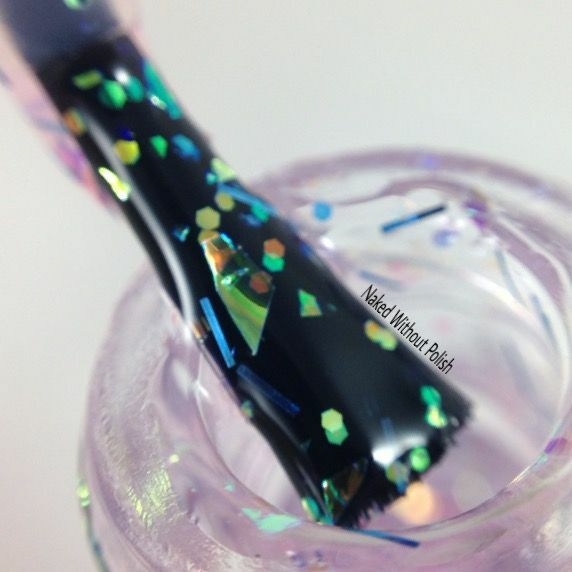 Night Owl is a fun mixture of iridescent shards, hexes and bars in a purple tinted base. If you're a regular reader of my blog you know I'm not big on bar glitter, they work here though. The base is slightly goopy so it needs to be applied quickly. Do not go over a spot you've already done until it's completely dry. It will pull and fold. It's not pretty (as you can see in the macro below). 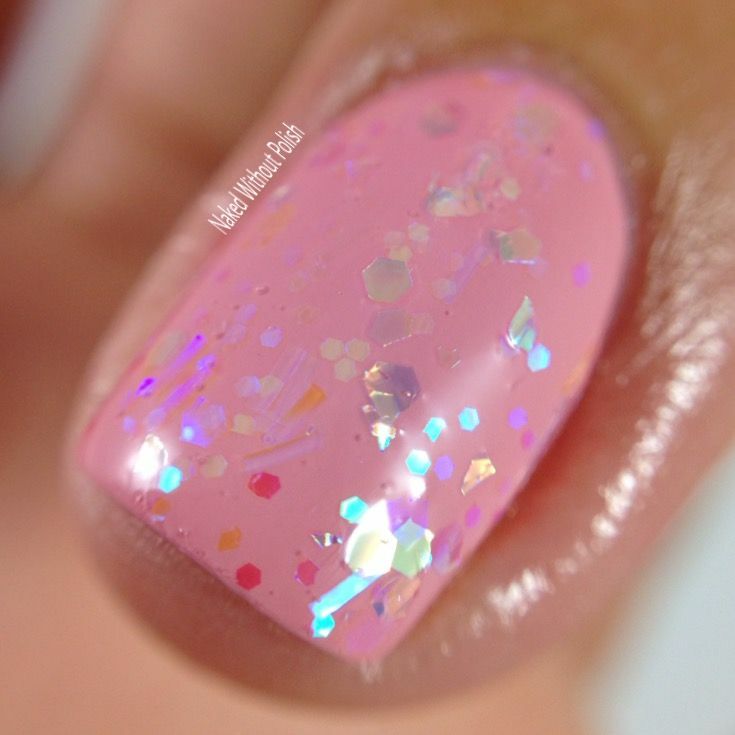 Sinful Sunrise is described as "a warm pink with silver 3D confetti". 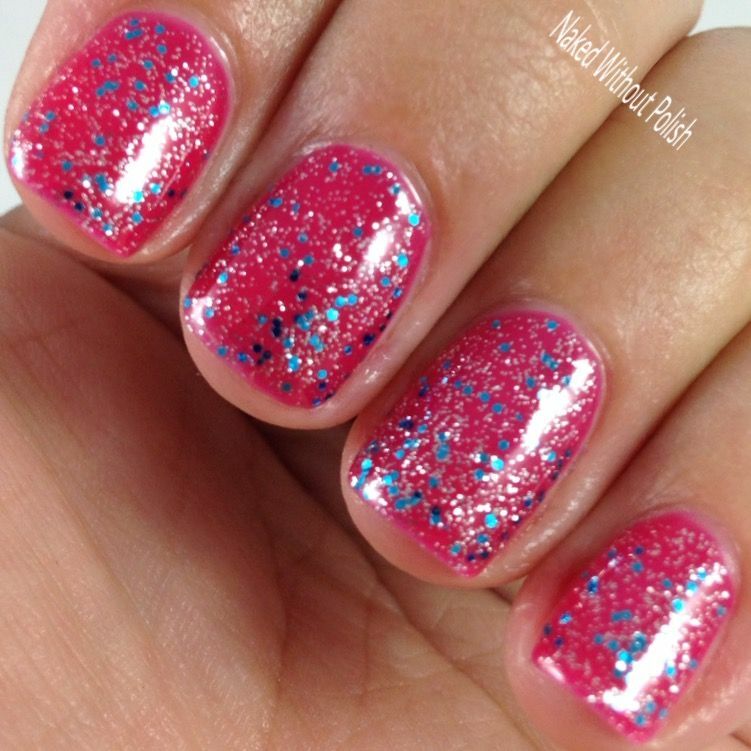 Shown is one coat of Sinful Sunrise over Pink Break with top coat. WHAT DOES 3D CONFETTI MEAN?! I don't know. This isn't a warm pink either. It's a pink tinted base. However, it's not the same base as Night Owl. 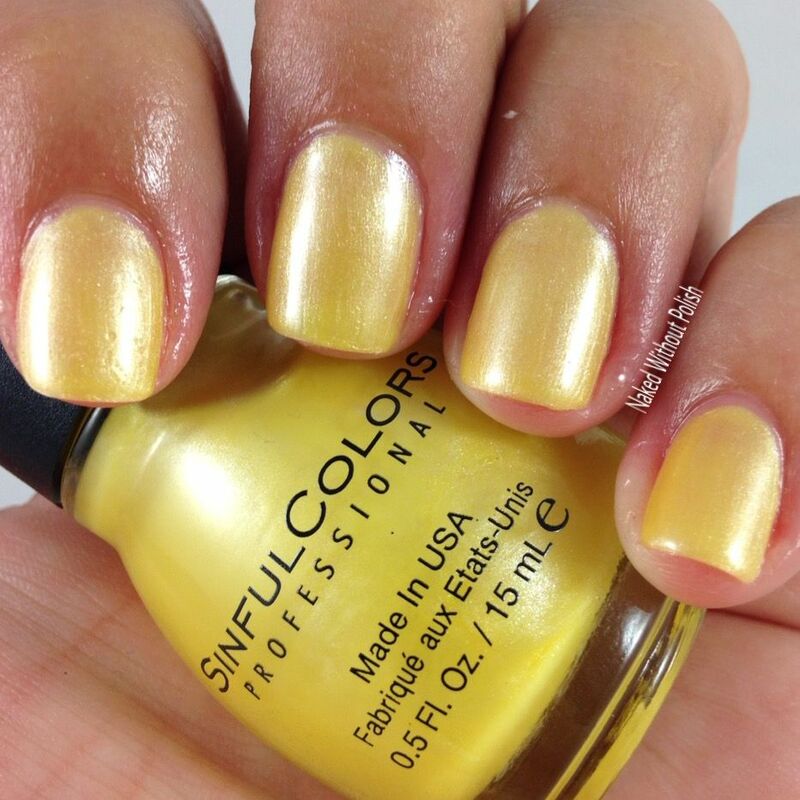 Sinful Sunrise has a much better formula. No issues with pulling or anything. If you're having issues choosing between the two, go with this one. 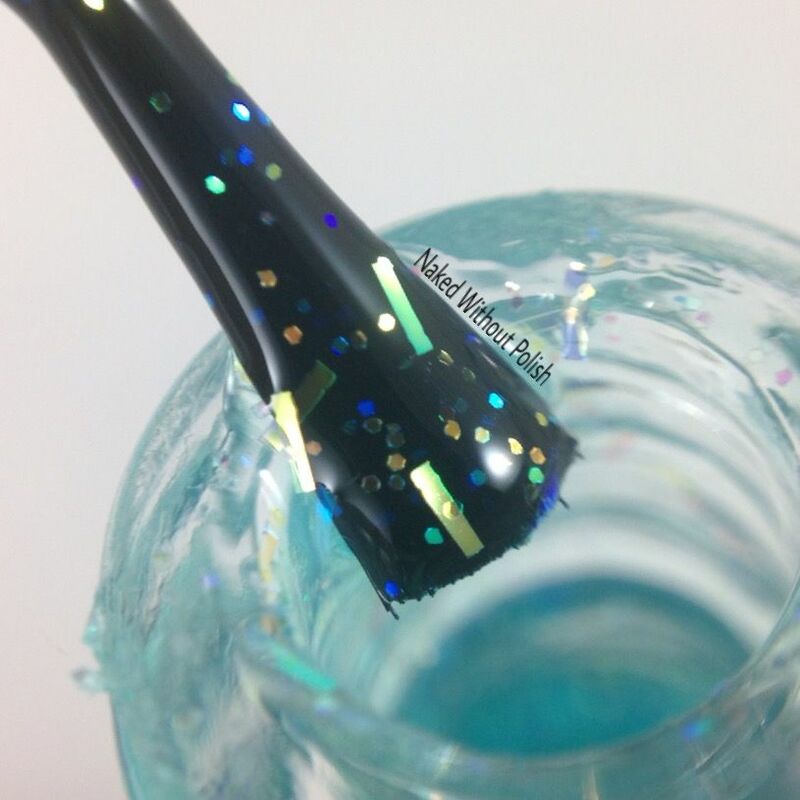 Late Night Haute is described as "turquoise and gold flecked 3D glitter". 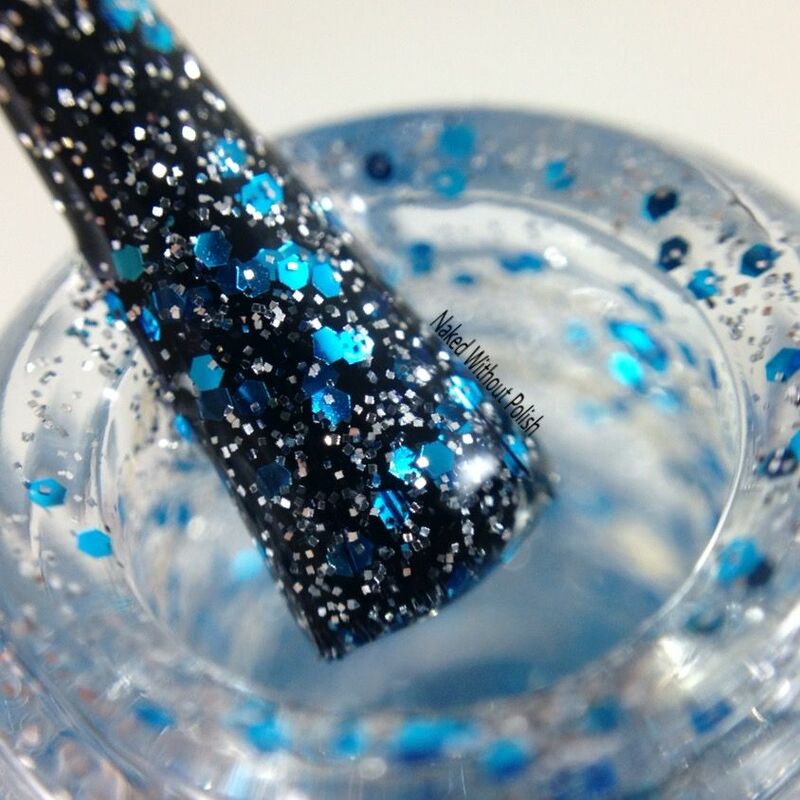 Shown is one coat of Late Night Haute over A-Crush with top coat. 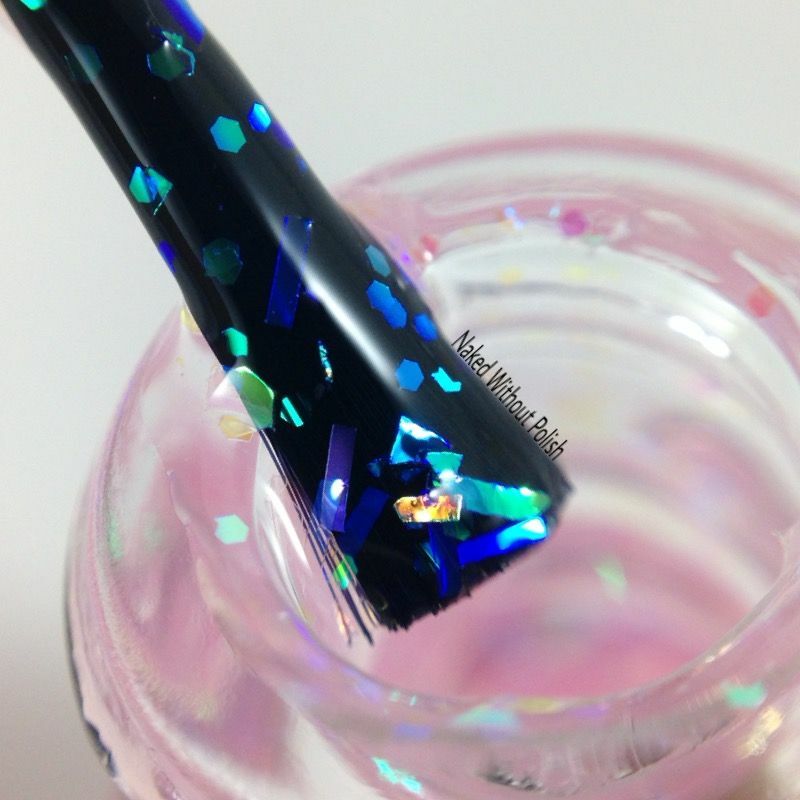 This isn't 3D glitter, it's iridescent. 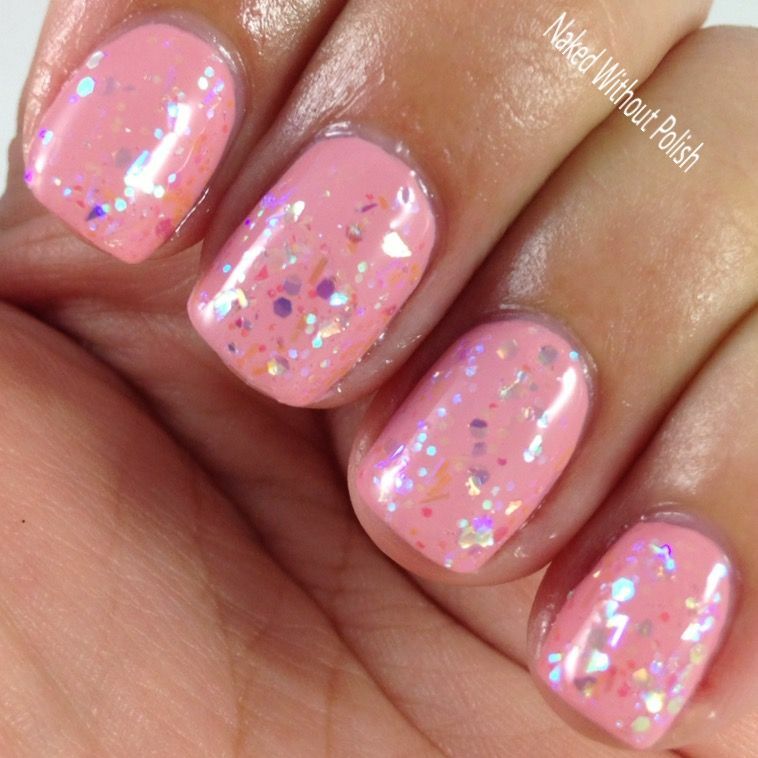 Wouldn't 3D glitter stick off my nail? Late Night Haute is similar to the two above, just a teal color. It does have the good base that Sinful Sunrise has (thank goodness). I think this would be pretty matted as well. 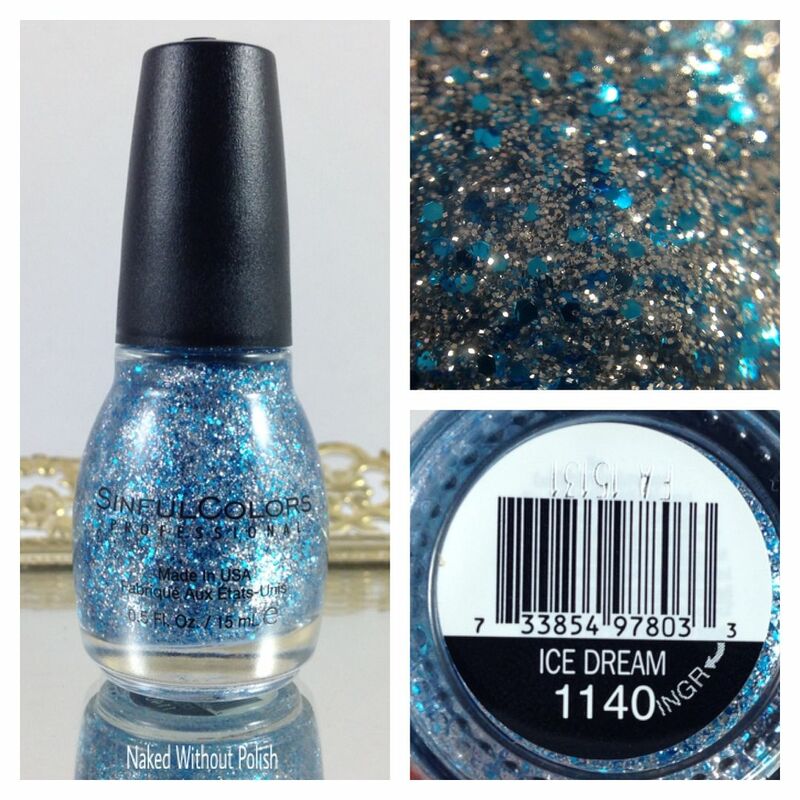 Ice Dream is described as "a cerulean glitter with a translucent silver base". 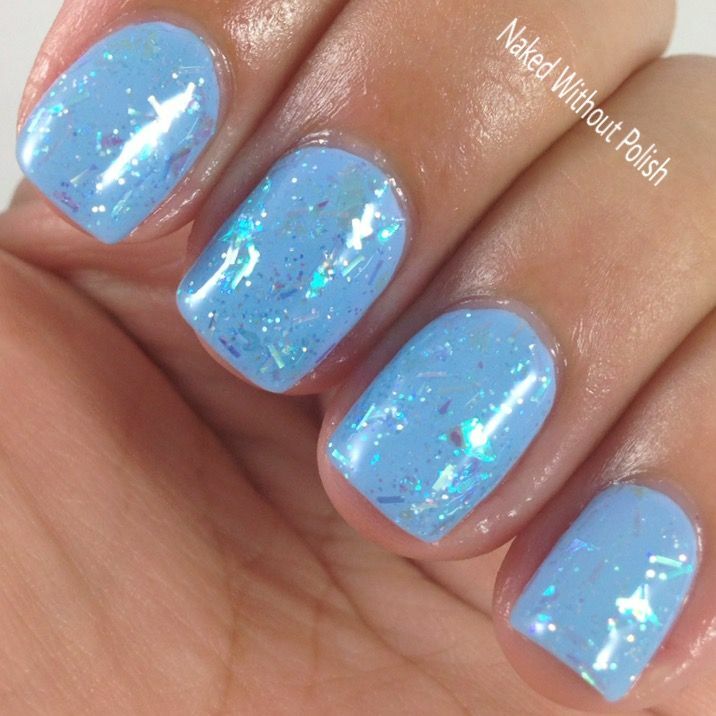 Shown is one coat of Ice Dream over RADiant with top coat. Ice Dream's application surprised me. I thought the glitter would end up clumping together and I'd have to separate them and smooth it out. It was incredibly smooth and easy to work with. I have yet to see any of these in stores are me, so I'm not sure which ones got the collections, but if you come across them, I highly suggest you take another look at them. Definitely worth considering, especially the creams. And at $1.99 a pop, how could you not consider them? 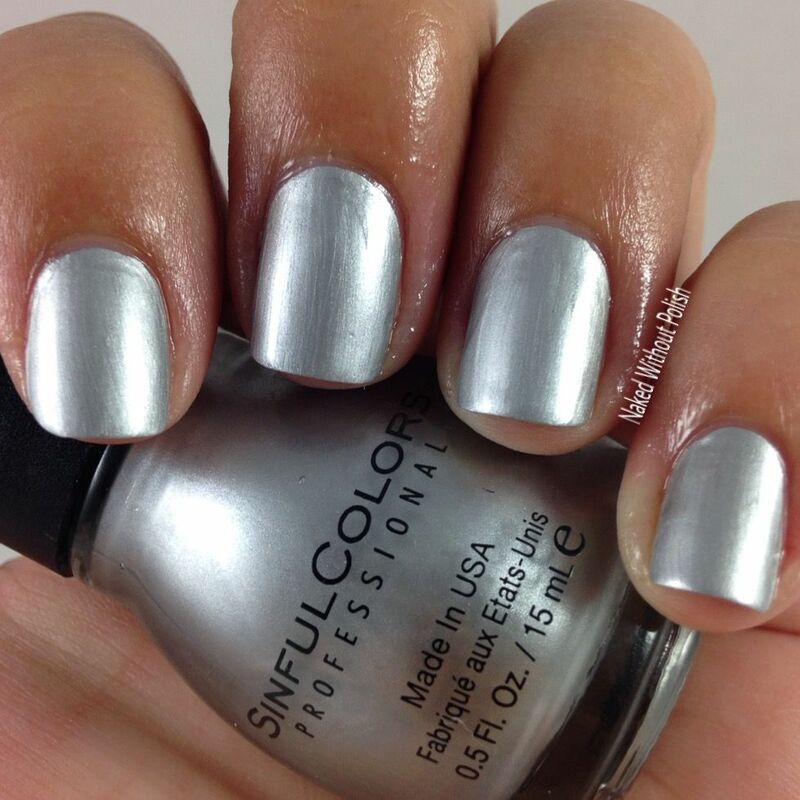 Way to go SinfulColors you've done it again! What are your favorites? Have you picked any of these up?